ANKARA FASHION : GET READY WITH ME + OUTFIT OF THE DAY! 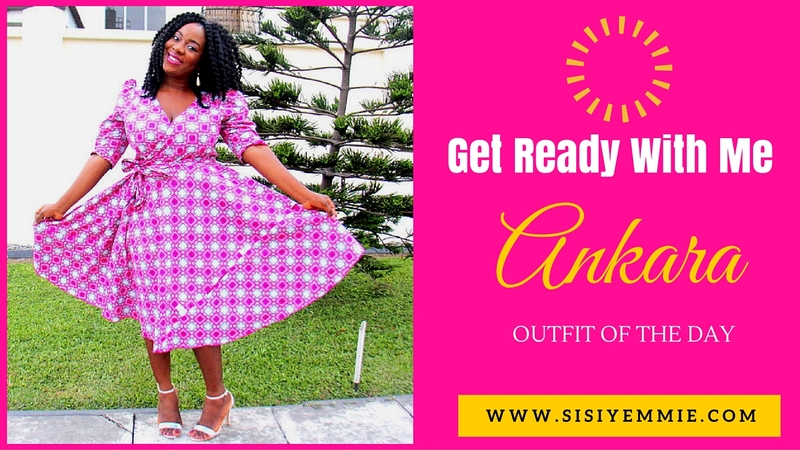 I love this pretty pink ankara wrap dress I wore the launch of Vane Polish over the weekend, which is why I decided to film how I got ready -makeup wise and clips of how the dress looks so you can show it to your tailor. The soundtrack I used also made me happy, fuji version of John Legend's All Of Me....more of songs like this. I would love to listen to a fuji version of Adele's HELLO. Le le le le oooo. Enjoy and don't forget to support the ministry by SUBSCRIBING! I have a dream that one day, I'll be able to do my makeup like Sisi Yemmie *deep sigh* Nike. Nice make up. There is no doubt you're great at it. However, I hope you put in as much effort in treating your skin right as you do your make up. Beautiful! I love ur blog, u r doing a great job! Kudos!! !